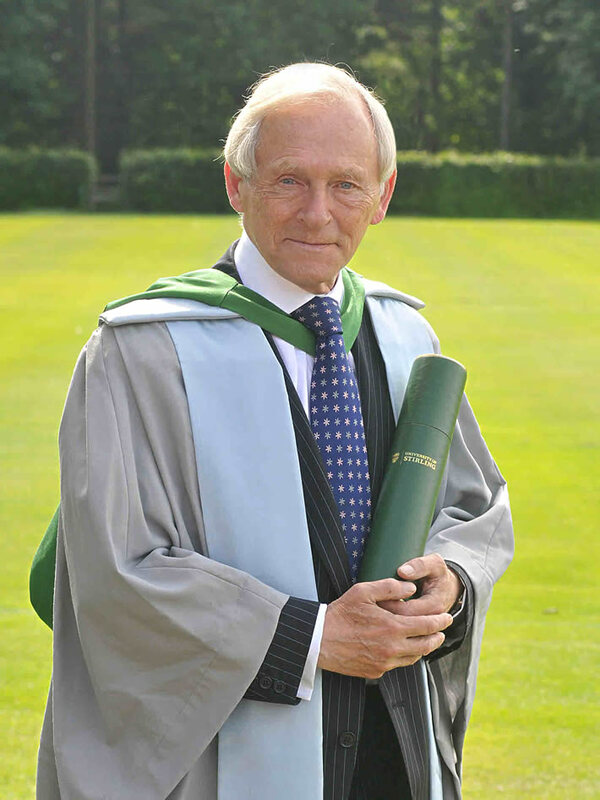 Sir George Reid in Doctor's gown of the University of Stirling. Sir George Reid – a Professorial Fellow in Politics at the University of Stirling – has been elected a Fellow of the Royal Society of Edinburgh (RSE). Founded in 1783, with Adam Smith and Sir Walter Scott among its early Fellows, the Society has a worldwide reputation for pursuing excellence in scholarship. Sir George said: "I am delighted by this honour, which recognises both my academic work and public service. I hope to participate in the Society's contribution to constitutional and international issues, and its outreach to universities, colleges and schools." The former MP, MSP and Presiding Officer graduated with first-class honours from the University of St Andrews and later studied international affairs, humanitarian law and conflict resolution in the United States, Switzerland and Sweden. He holds five honorary doctorates and has lectured regularly at universities in the UK, Europe and North America. For 12 years between his time at Westminster and Holyrood he worked worldwide in wars and disasters as a director of the International Red Cross and Red Crescent in Geneva. He has made a ‘remarkably good’ recovery from major surgery for bladder cancer in late 2013. After chairing a series of government reviews and serving as Lord-Lieutenant of Clackmannanshire, he is now looking to help the next generation. He added: "That is why I was so pleased to be appointed a Professorial Fellow at the University of Stirling earlier this year, where I can share some of my international and political experience in an academic context." Sir George will also lecture at the London Academy of Diplomacy, whose Masters' degree programmes are validated by the University of Stirling. The RSE elected 56 individuals to become Fellows. Spanning the arts, business, and science and technology sectors, they join the RSE in its work to place the advancement of learning and useful knowledge at the centre of public life in Scotland. Find out more about Politics at Stirling.